I think blogging is a little bit like back in the old days when we wrote snail mail letters to our friends. After we get so far behind, you can't remember where you left off with the last letter so it's just easier not to write. I've been planting flowers. Last year on June 2nd I had knee replacement surgery, and I don't even remember if there were flowers planted last summer or not. So this year I am more than making up for it. These geraniums are on my front step. A close up of one of the blooms. A close up of one of the blooms out on the deck in back. This is a mandevilla. I just love this plant. Too bad it is only an annual in our zone, but it will bloom just like this all summer. Some pink begonias on the deck. I have jumped on the Klotje band wagon along with many others in blog land. These spool blocks are made from the Inklingo Patchwork of the Crosses collection. Visit the Inklingo site. There is a free collection that you can download and try out for free. Here is the sock blanket that I've been working on for at least a year. I did a little shopping this past week. These are some batiks that I bought to make Inklingo triangles. 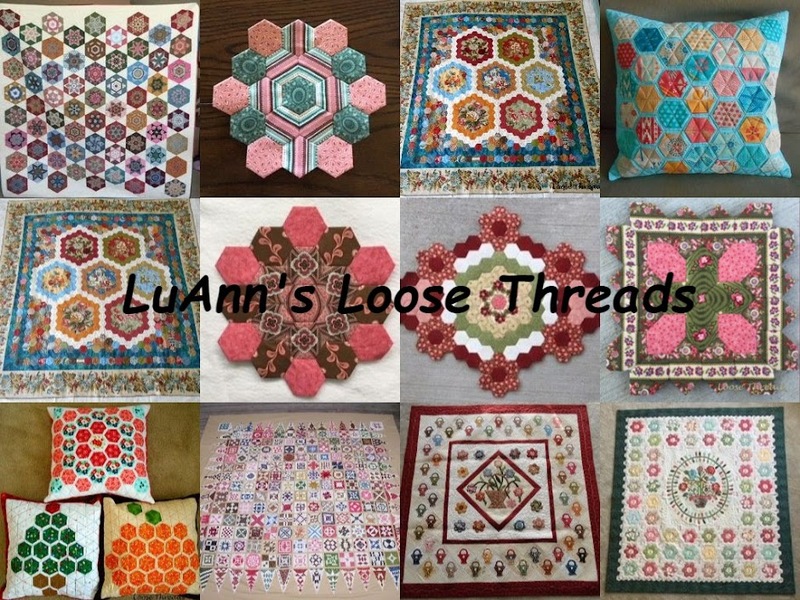 Some of these are from Edyta Sitar of Laundry Basket quilts. Here are some of the backgrounds I bought. The quilt I am making is from this book. The quilt I want to make only takes 768 half square triangles. That should be easy enough, right? I'll show you how I print the inklingo triangles onto my fabric using my computer printer next time. Hope you find some time for stitching today.